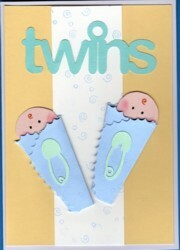 Baby cards are one of my favourite greetings to make!
" A baby has a special way of adding joy in every single day". 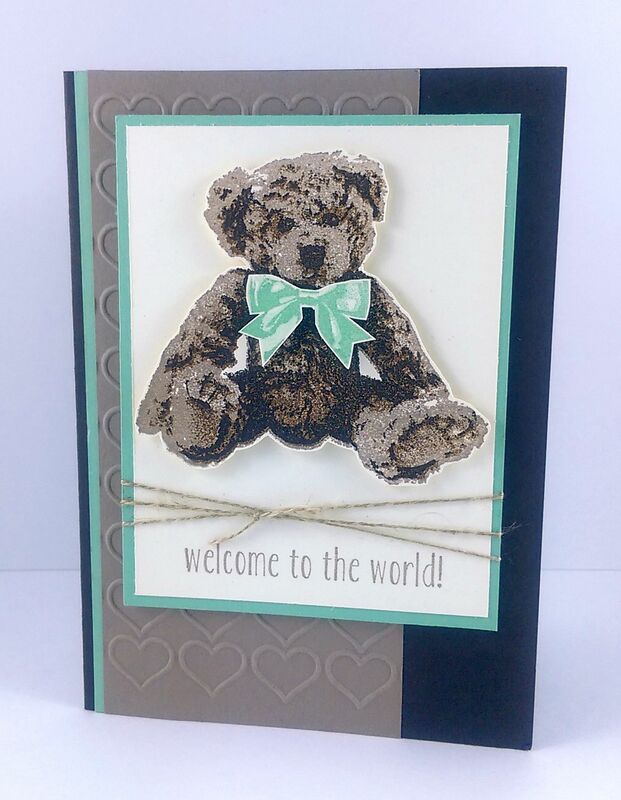 There's something so amazing about a new little one and handmade cards can help to make the occasion of a child's birth an even more special event. Often the new mother will keep such a handmade greeting cards as a memento to show their child later in life, or just to re-live the joy of welcoming a new member of the family. 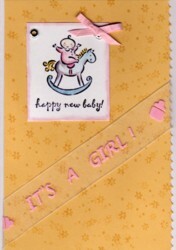 Traditionally, the colours are pink for girls and blue for boys and yellow if you don't know the gender of the baby yet, but these days you can find cards with almost any pastel or even bold colour on them. My teddy bear is brown, after all! Today crafters are often more adventurous with colour, using bold brights and even black and white colour themes. So don't be limited by tradition unless you want to be. I still like soft pastel colours and often use mauves and pale yellows or pinks. 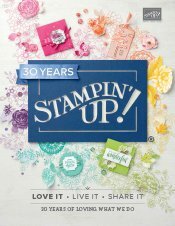 Now you can use your baby embellishment on your baby card or in your infant's scrapbook album. I love to use cute stamps on my handmade greetings for new mothers as well. Here I have used a small cute stamp (stamped in black Stazon ink so colouring the image wouldn't cause it to run) of a rocking tot on glossy white cardstock, coloured in with pastel chalks and a blender pen, then matted on a coordinating colour of cardstock. I chose a pretty ribbon to highlight the main image. Finally, I placed the image on a card base and added a brad and another little ribbon. Voila! All done! Here's a card I made for my own grandson using a sketch that had three square embellishments down one side. However you decide to make your handmade baby cards for newly arrived little persons, you are bound to make a special occasion even better. When you make your cards for the newest little members of your circle, would you inspire me by sharing them with me here?